From 26.04.2016 to 28.04.2016 about 15.000 visitors came to Nuremberg to the SMT Hybrid Packaging exhibition. 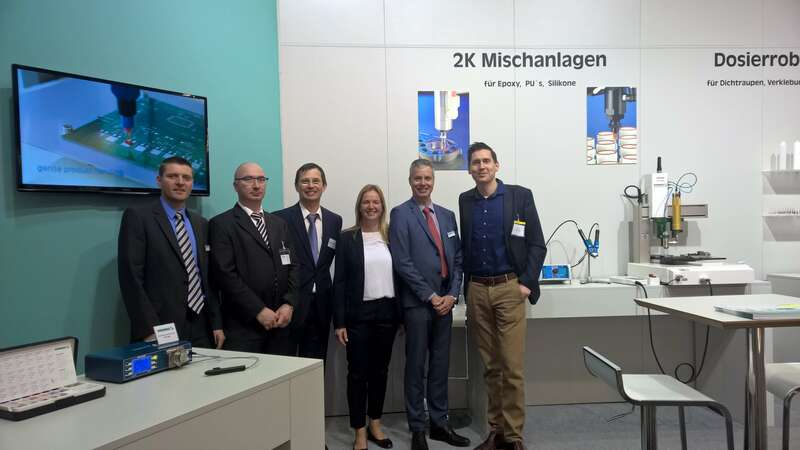 As Europe`s leading specialized fair for System Integration in Micro Elektronics one could have visited 420 exhibitors and inform oneself about current trends, developments and innovations. Also preeflow® was represented by its´ German distributor VIEWEG. In spite of the Hannover exhibition at the same time (25.04.-29.04.2016), VIEWEG showed up with concentrated manpower on the booth to represent their products and specially the eco-PEN at its best. During the next weeks VIEWEG will participate and show preeflow® products at some more exhibitions. Visit their booth at SMART Automation Austria in Wien (10.05.–12.05.2016; booth 812) or at Automatica in Munich (21.06–24.06.2016; hall 6; booth 322). The VIEWEG-team would look forward to welcome you on one of these exhibitions.